The ellipsis in the title of the track “e for …” can be read as referring to several things, among them both the operational status of the work itself, and the means by which it accomplishes its goals. Track originally posted for free download at soundcloud.com/danjec. More from Danjec, aka London-based Grant Wilkinson, at danjec.com, twitter.com/_muncky, and Instagram (that’s where the above image was sourced). 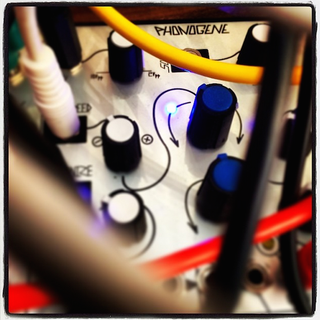 More on the Phonogene module at the website of its manufacturer, makenoisemusic.com. Make Noise is based in Asheville, North Carolina.